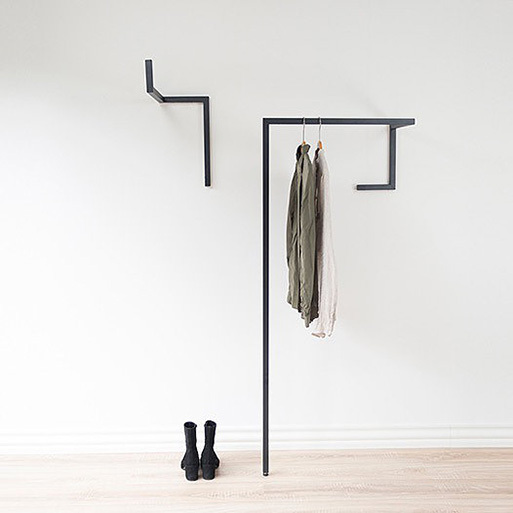 This may be described as a ‘wardrobe system’ but let’s just say it’s an excellent coatrack/hook option for any of your clothing or accessories. With three different editions (standing, wall-down, wall-up), you’re able to pick just the right size for your space. Each very linear design would give you an extra storage option, along with a big dose of edginess for an otherwise ho-hum space. Available from designboom shop, $153.00 - 190.00.